Royal Western Realty beautiful signage will be professionally placed on your property. This method will make awareness and attract the local community. An old fashion method is always helpful. We love it, because it reaches a separate community of people. We have creative printed advertising techniques and data that allows us to reach positive results for you. There are times when advertising is not enough to get it sold. During advertising, we contact our network to make them aware of the opportunity to produce more effective results for you. For example: list of buyers, funds, developers, business owners, and much more. Internet advertising is a must in today’s world. We advertise in many professional websites including the MLS. Our strong internet campaign will allow you to reach a different community of potential customers. California State University Long Beach: Bachelor of Science in business administration - finance concentration. 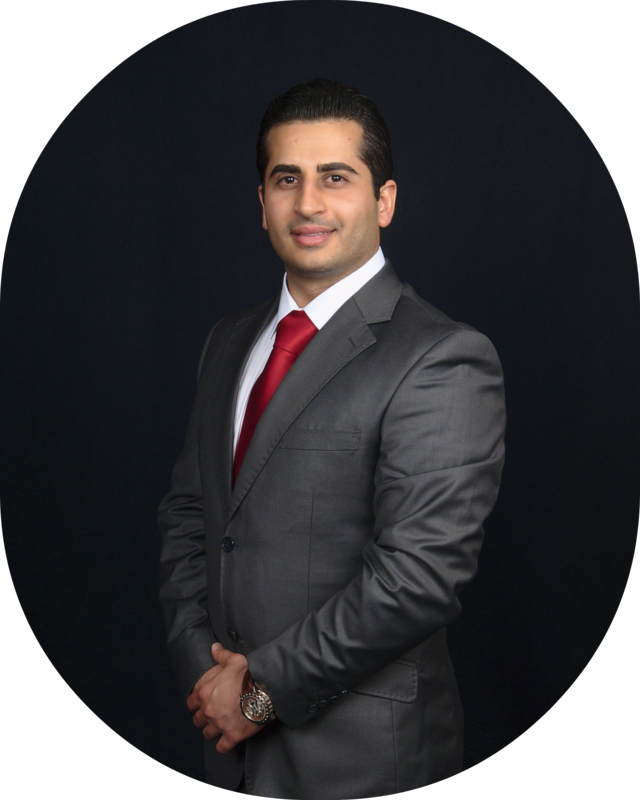 Mr. Hijaz is a full-service real estate expert focusing on the entire spectrum of real estate and business acquisitions for our clients in California. The reason for his great achievements is derived from his broad experience in finance structuring, investments, commercial acquisitions, leasing, business acquisitions, luxury real estate, exclusive licensing agreements, and modern real estate developments. Mr. Hijaz, also went through extensive academic training by graduating from California State University, Long Beach with Bachelor of Science in Finance and a Real Estate degree certification from California State University, Los Angeles. Given this advantage, your transactions will be completed successfully and smoothly. His goal is to negotiate the best deal possible by believing in the golden rule, reaching a mutual agreement between all parties. One of the great tools he utilizes is his knowledge to leverage the best deal possible for you on the market. Additionally, in all transactions, Mr. Hijaz has and will continue utilizing his knowledge to cater your transactions with loyalty, experience, honesty, and care. His professionalism to stand and work for his clients’ best interest is remarkable. Mr. Hijaz is one of the most successful negotiators, having negotiated many deals throughout his career in business and real estate for the past decade. Mr. Hijaz has been setting records for the highest-priced deals he negotiated. Mr. Hijaz is also recognized by many people for his unrelenting work ethic and dedication. We are committed on getting our clients the best deal in the shortest period of time.